6 industrial Friso Kramer chairs, model Result. Manufactured by Ahrend de Cirkel. Black metal structure and seating and back support in plywood. 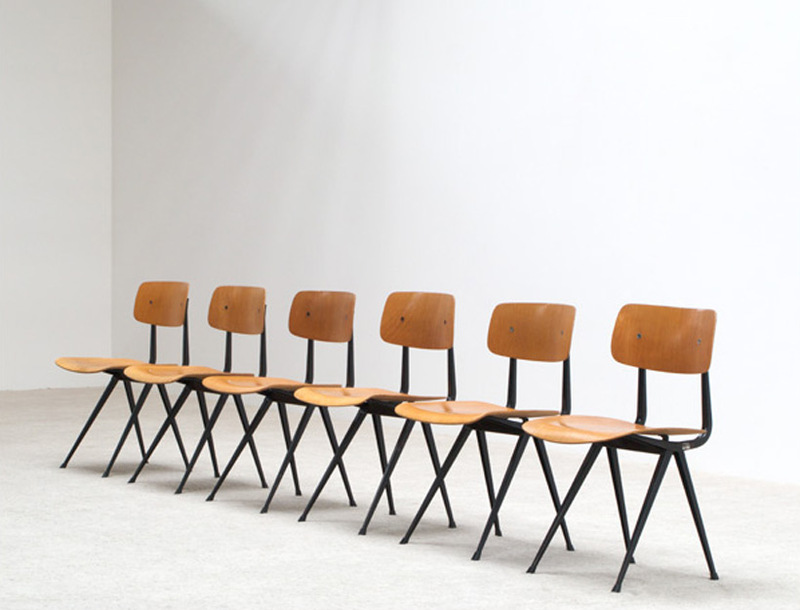 6 chaises industriel, conçu par Friso Kramer pour Ahrend de Cirkel. Structure en métal noir et siège et support dos en bois.